2012 is an important year for Mexico. Besides the Huge change announced by the Mayan Calendar, Mexico has important appointments on its agenda! For its first year, World Travel & Tourism Council (WTTC) Americas Summit will take place in the Riviera Maya in Mexico, on the 16th, 17th and 18th of May 2012. This event is hosted by the Mexico Ministry of Tourism and also Mexico´s Touristic Board. This summit aims to gather all the tourism leaders from Latin, Central, and North Americas and from the Caribbean to talk about different and numerous tourism and travel issues. CEO’s hotels, travel agencies, airlines, tour operators, NGO and G20 representatives will work during the 3 days this following problematic: How to generate jobs now and in the future? For sure, many people will be attending this summit! “The Riviera Maya is the perfect place to inaugurate this event”, said David Scowsill, president and CEO of WTTC. In fact, Mexico and especially Quintana-Roo have understood since long, how much the tourism can contribute to the national economy. 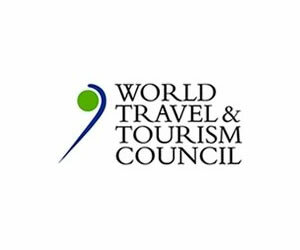 “We are honored that Mexico was selected to host the very first WTTC Regional Summit and look forward to creating synergies and opportunities through the interaction and discussions among the leaders that will attend the most important forum of an industry," Guevara Manzo stated, Secretary of Tourism in Mexico. In this same month, on the 15th and 16th May 2012, Merida will host the United Nations World Tourism Organizations (UNWTO). In June, Baja-California, will welcome the annual G-20 summit in Los Cabos. 2012 is definitely the Mexican Year. American-development.com and canada2playa.com wish you a instructive update about tourism subjects in the Americas.